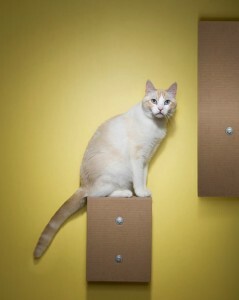 One of the things I’m not crazy about with most cat stands is how big & clunky they are–they can take up a lot of space. That’s why I’m liking these Ikea hacks you can make yourself with 2 Stolmen poles and shelves. 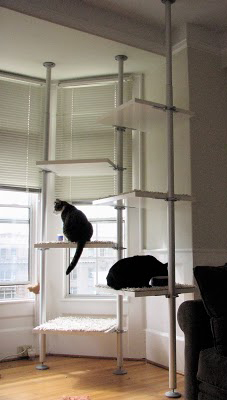 And if you want something sleeker, you can buy nifty shelves specifically for making a cat tower using just one Stolmen pole. 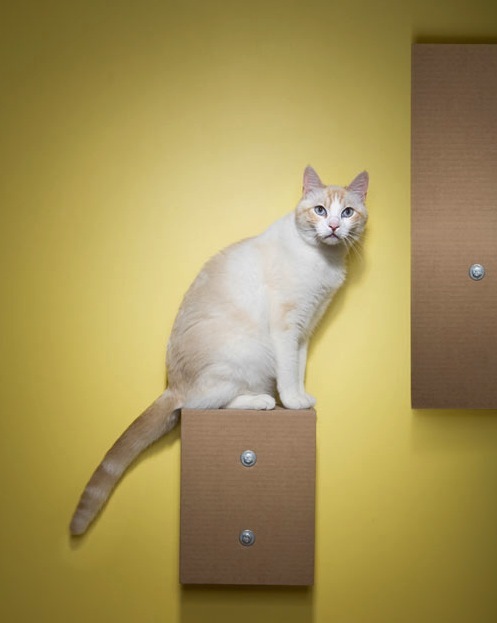 Not only do these cat towers look less massive than traditional cat stands, they have a very small footprint, and even cooler—you can change them around to keep your kitties intrigued. This first DIY project is pretty straightforward and uses just Stolmen parts. See how the shelves are stair-stepped so the cats will have an easy time climbing up. 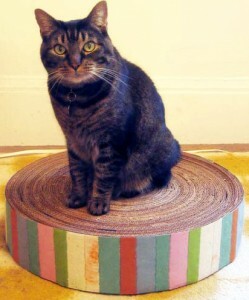 The second DIY project is a little more involved–but super easy– and includes a great scratching post. The original plans are in Finnish, but here’s a translation of the plans to give you some more information on how they made their tower. The Hollywood Franklin Tower from designer Peter Sehorsch is a more streamlined version that uses only one Ikea Stolmen pole. They make 2 different sized shelves, come in different color stains, and are covered in carpet from Flor. Their site is Flash intensive and irksome, but their design is worth looking at. If the Flash bugs you, check out the pdf to see the niftiness.